Is SM-G910 Samsung’s flexible display smartphone? Samsung, the Korean tech giant is making headlines every other day with its popular models that are extremely competitive to Apple's various iPhones in the market - and in most cases, Samsung products have already overtaken the American smartphone monopoly Apple. We have been hearing of a 'flexible' smartphone from Samsung but nothing concrete is available on the device till as of today when there is yet another speculation of a flexible smartphone from Samsung. The most recent 'speculative news' is supposedly derived from an unknown Samsung device which has been shown up on benchmark site GFXBench, with model number SM-G910. 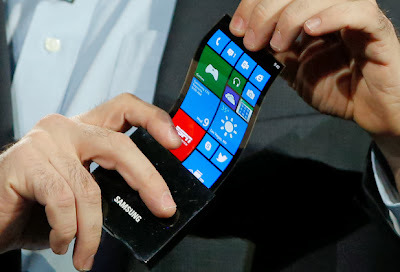 The rather unique model naming makes many think whether this could be the device with the flexible display.